ExpandaFold | LSP Industries, Inc.
Cluster-type installations can be assembled in a tight one valve unit. The ExpandaFold, is a state-of-the-art manifold system that uses less fittings, has less joints, eliminates leaks and cleans up the unsightly messes associated with makeshift manifolds. Whether it is used to transport air or fluid, the ExpandaFold will transform manifold chaos to impeccable order. See how easy it is to replace that sloppy, leaking and inefficient distribution system with LSP Industries ExpandaFold system. 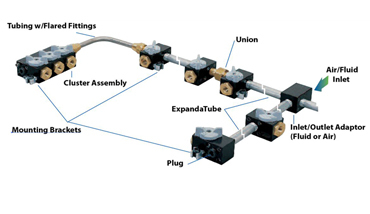 ExpandaValves are designed to be assembled into manifolds with screws, pipe and/or tubing. It's that simple! Cluster-type installations can be assembled in a tight one valve unit to conserve space and allow mounting to be done in confined areas. 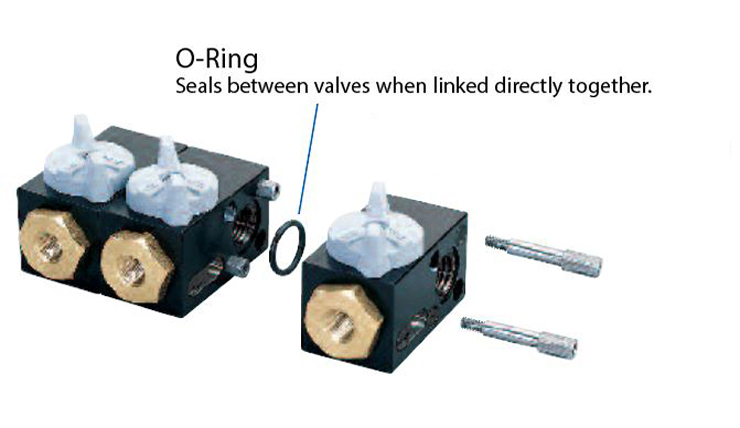 Individual valves are assembled with an O-ring between them and are held together with interlocking screws that thread into each other. 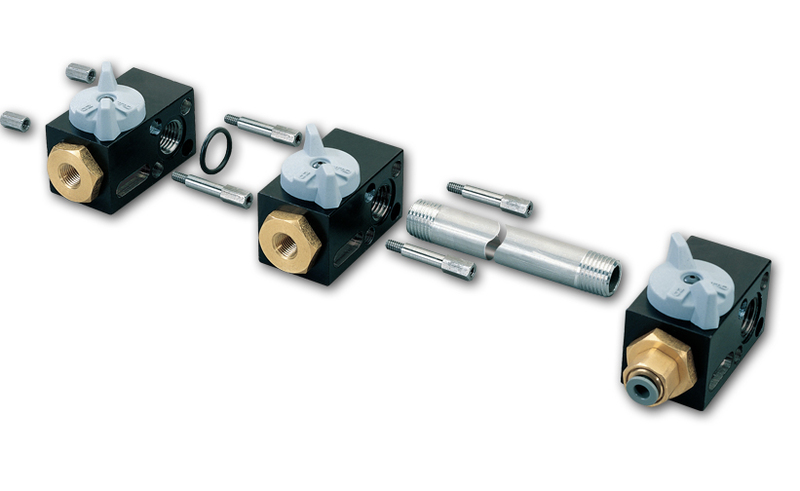 An angled setup makes it possible for the ExpandaValves to be mounted in a horizontal line or to aim each valve 90˚, 180˚ or 270˚ from the adjoining one. 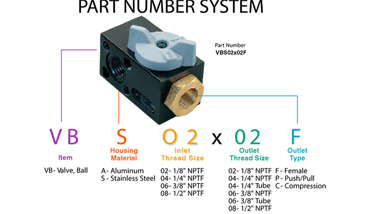 ExpandaValve units are easily defined by thier numbering system. ExpandaValves are full flow relative to their inlets and are rated for pressures up to 1000 PSI. Push/Pull fittings are rated at 150 PSI regardless of the ExpandaValve ratings. ExpandaValves are designed to be assembled into manifolds with screws, pipes and/or tubing. It’s that simple! They can be assembled in a variety of configurations . ExpandaValves can be assembled in a tight cluster, one valve actually touching another. This arrangement conserves space and allows them to be mounted in confining areas. They are assembled with an o-ring between each valve and they are held together with interlocking screws that thread into each other.